2-year-old Krithikaa was born with jaundice. Her parents Archana and Vishnu were alarmed at this, and never expected her condition to get worse. Krithikaa was put on medication and treatment for jaundice right away, but sadly she didn’t recover. She always had a high fever and would be crying from intolerable pain. 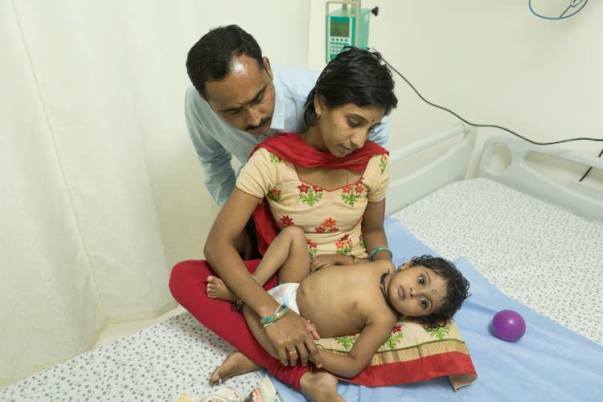 When Krithikaa didn’t respond to jaundice treatment, her parents rushed back to the hospital. 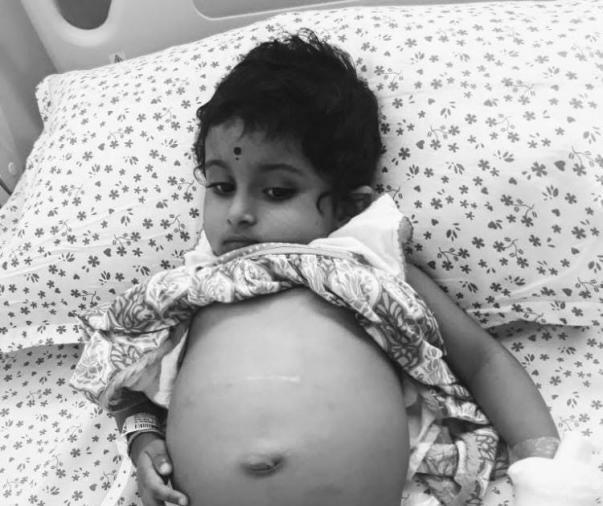 Tests revealed that baby Krithikaa suffered from Biliary Atresia - a chronic liver disease. Archana and her husband, Vishnu, were so excited to welcome their bundle of joy into this world. 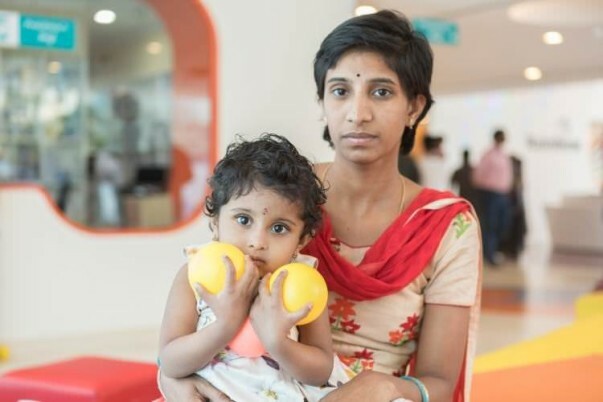 But when Krithikaa’s diagnosis came through, their world was broken. All their hopes for their new family took a back seat while they had to figure out how to save their baby from this situation. Doctors at Rainbow hospital suggested they go for a surgery to free her bile ducts. They also presented the parents with the worst case scenario, that if the surgery doesn’t work, a liver transplant is the only solution. 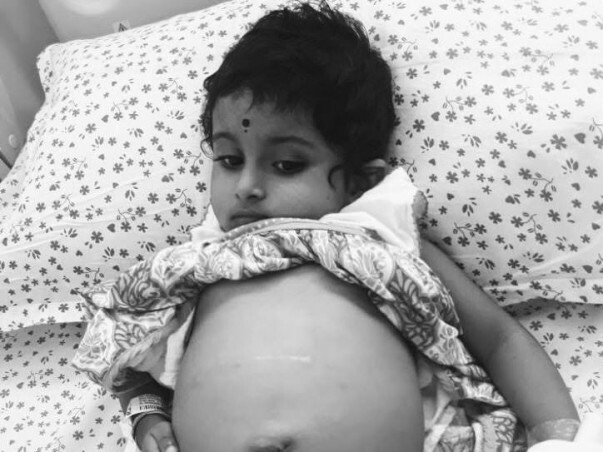 Krithikaa underwent a surgery for Biliary Atresia when she was just over 2 months old. Despite the operation, Krithikaa didn’t show any signs of improvement. Instead, her condition started deteriorating. Her stomach started swelling up and her fevers didn’t subside. 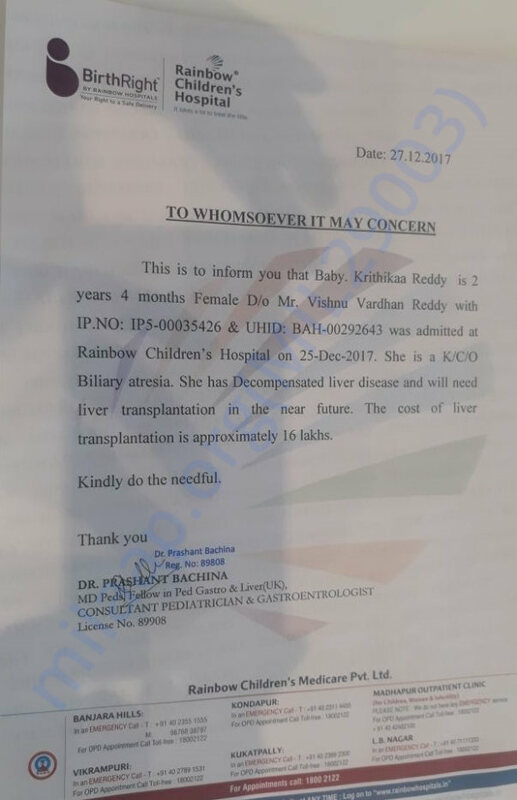 She now has Decompensated Liver Disease, for which the only treatment available is a liver transplant.Moreover, her illness made her extremely irritable, making it harder for the little soul to tolerate the pain she is in. Krithikaa has stunted growth because of her malfunctioning liver. She can barely eat because her body doesn’t digest food properly and causes more discomfort. It breaks Archana and Vishnu’s hearts to see their 2-year-old daughter suffer from the illness. Vishnu works with an advertising agency that designs flex boards. In his monthly salary, he barely manages to run all his household expenses, owing to which, funding his daughter’s treatment is not possible for him. So far, he has borrowed money from his friends and relatives to pay for Krithikaa’s medical bills, but even that money has run out and now he has no means to get her the treatment she needs. Archana is a homemaker who has to spend all her time and energy towards taking care of her ailing daughter. Hence finding a job to supplement the household income is not really an option they can avail. Krithikaa is their only child and just like any other parents, Archana and Vishnu want to leave no stone unturned in getting her a second chance at life. Despite their helplessness and their financial crisis, they’re courageous and hopeful that they’ll come out of this situation better and stronger than before. Their dream can be made into a reality only with your help. Your contribution can help Archana and Vishnu get the much-needed treatment for Krithikaa. Kritihikaa is doing better. She has responded well to the treatment. We have postponed her treatment as she is stable now and will be undergoing her transplant in the near future. Kritihikaa is at home and doing better. She has responded well to the treatment. We will visit the hospital day after for the follow up, she had been going for her routine check ups. Request you to share this campaign and help us. Thank you so much for your tremendous support. We couldn't have come this far if we didn't have you by our side. 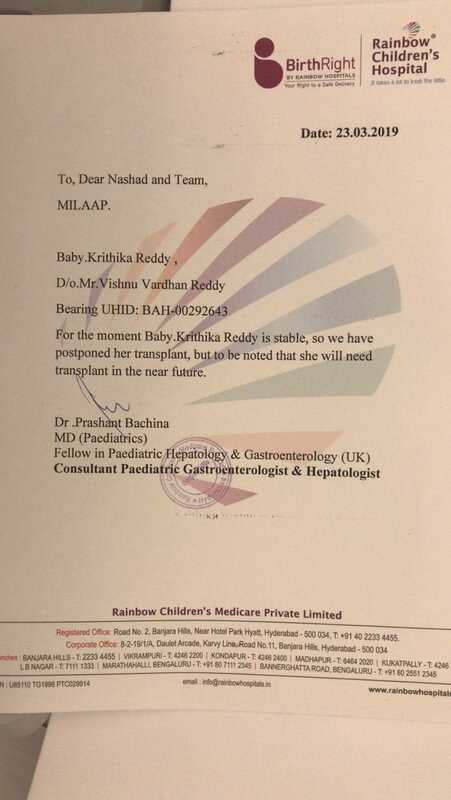 I'd happily like to inform you all that I'm a suitable donor for my daughter, Krithikaa. The medication that she is currently on, is slowly curing her of jaundice. There was a test done to check her bilirubin level three days ago and her reports show her current level as 10 while the normal range is between 0.1 and 0.3 which is concerning. Hence, the doctors are planning on doing the surgery (for liver transplant) in about 15-20 days or next month. The pre-transplant tests have not been yet. Please keep supporting us and praying for my daughter.